Stems: erect, glabrous, generally simple. Leaves: odd-pinnate, short-petioled; leaflets oblong, obtuse, and often mucronate at the apex. Flowers: in long loose racemes, deflexed. This is a tall handsome plant very common among the mountains. The leaves are short-stalked and have eleven to twenty-one oblong leaflets which are rounded at the base. The stiff erect racemes of deflexed violet-purple flowers are longer than the leaves and the pods are drooping and have three to five oval strongly reticulated joints. 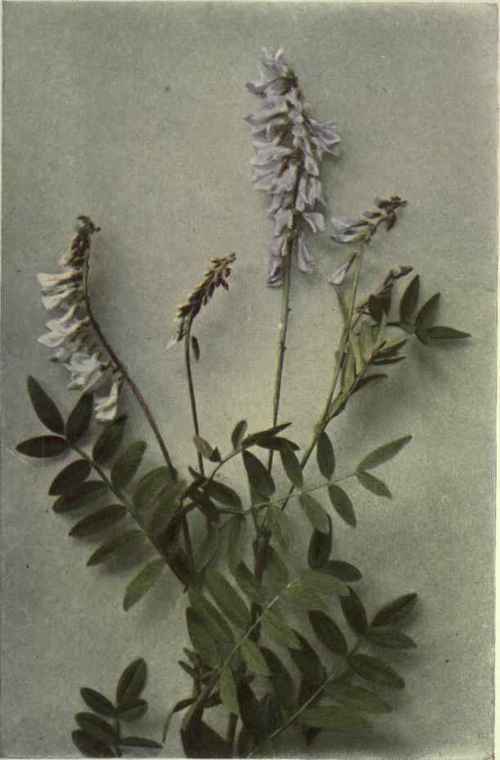 The white or cream-coloured species, Hedysarum sul-phurum, is described in the White to Green Section.